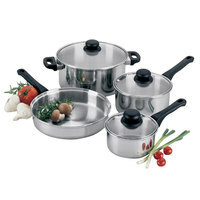 Our cookware sets feature clad bottoms that allow cookware to heat evenly, while also preventing dents and scratches. 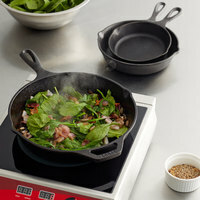 Some of these products can even be used on induction surfaces, making them great for every kitchen. 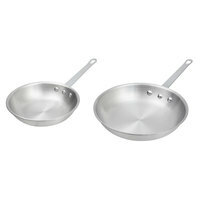 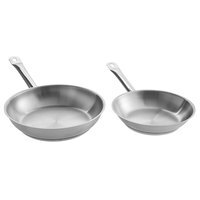 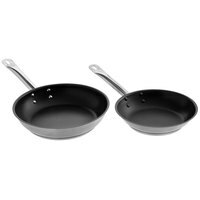 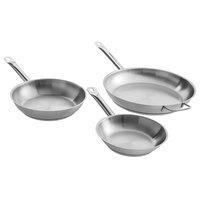 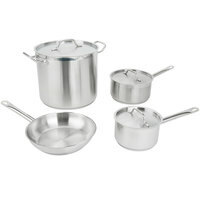 Additionally, we offer pots and pans sets featuring coated handles, which prevent users from feeling the heat and keep them safe while cooking. 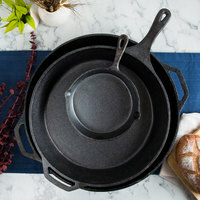 Also make sure to check out other great items from Choice, Valor, Vigor, Lodge, Matfer Bourgeat and Vollrath. 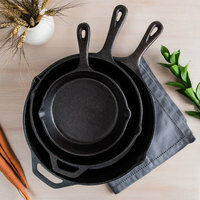 Whether you’re just starting your first restaurant or are looking for supplies for your extended stay hotel, we’ve got you covered. 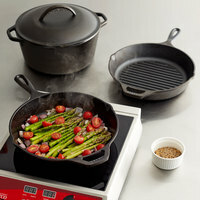 Our cookware sets feature pots and pans that are perfect for boiling water, cooking meat and seafood, or sauteeing vegetables. 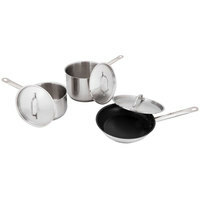 Some of these products also come with convenient hanging holes, so you can easily keep your kitchen organized. 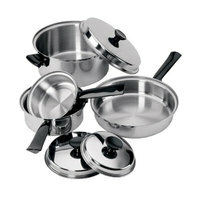 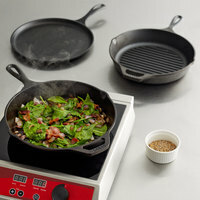 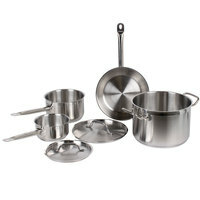 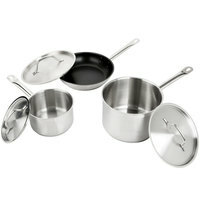 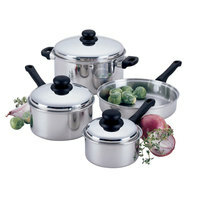 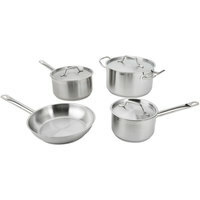 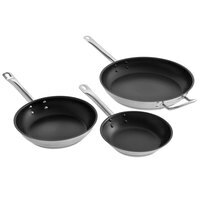 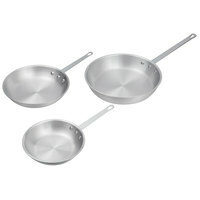 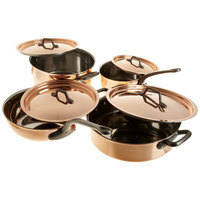 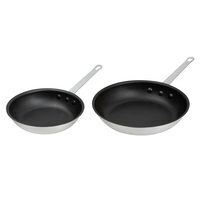 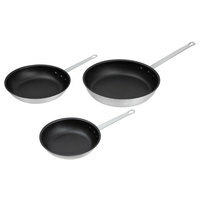 Best of all, most of our pots and pans sets are NSF Listed, ensuring you receive cookware that is easy to keep clean. 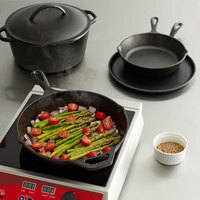 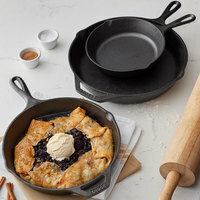 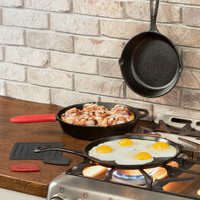 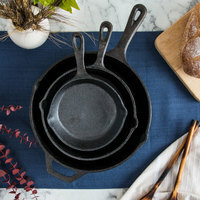 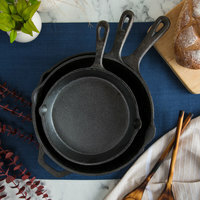 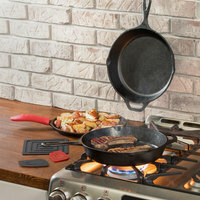 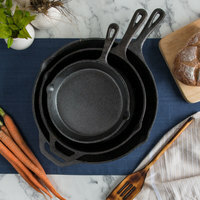 For more cookware products, check out our stove top griddles, steamer sets, and roasting pans. 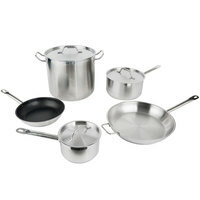 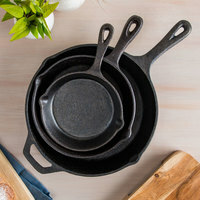 If you're wondering where to buy cookware sets, we have a large selection of cookware sets for sale at the lowest prices.